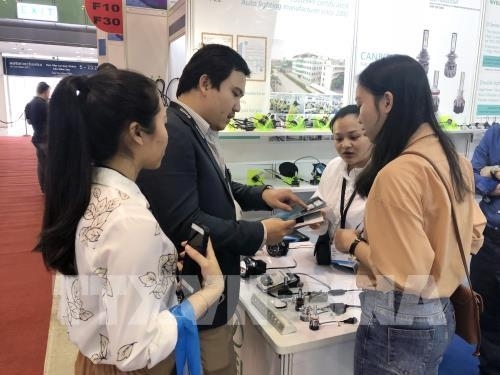 The automobile exhibition Automechanika opened in Ho Chi Minh City’s Saigon Exhibition and Convention Center on February 28, attracting approximately 380 exhibitors from various countries around the world. Exhibiting until March 3, the event has introduced the new product category of “Truck Competence” to amplify the ever-growing commercial vehicle sector in Vietnam. In particular, around 60 percent of the exhibitors are showcasing products in the commercial vehicle segment, many of which are of the truck competence category. A number of activities are being held in the framework of the “Truck Competence” program, including the Fleet Management Conference, the Collision Repair Training and Maintenance Workshop, and the One-to-One Matchmaking Program. Reports from commercial vehicle makers in Vietnam showed that the growth of the category has been stable. 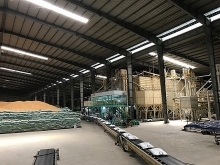 Vietnam has attracted a number of foreign firms – including Russian manufacturer Gaz – thanks to the strong expansion of the supply and production market. Gaz plans to localise its products by forming a joint venture with a Vietnamese partner. According to Chong Tze Liang, General Director of AFI Blake, the demand for commercial vehicles and logistics activities in Vietnam are forecast to increase, along with the demand for trans-national tourism. Therefore, the firm has invested in producing commercial vehicles that meet international safety standards for the Vietnamese market, he said. Meanwhile, Lars Verswyvel, General Director of IST Vietnam, predicted that sales in the commercial vehicle sector will grow strongly in the future. He commented that the exhibition is a good chance for enterprises to explore the demand of the market. A number of businesses joining the event said that the Vietnamese government’s recent preferential policies have helped the domestic automobile sector develop. 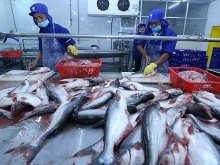 The policies have created more opportunities for foreign firms in the market, they said, adding that many foreign investors hope to make full use of incentives for the domestic automobile sector to produce and supply automobiles in Vietnam.